Posted September 12, 2016 by Rob Kelly & filed under Employer Branding. 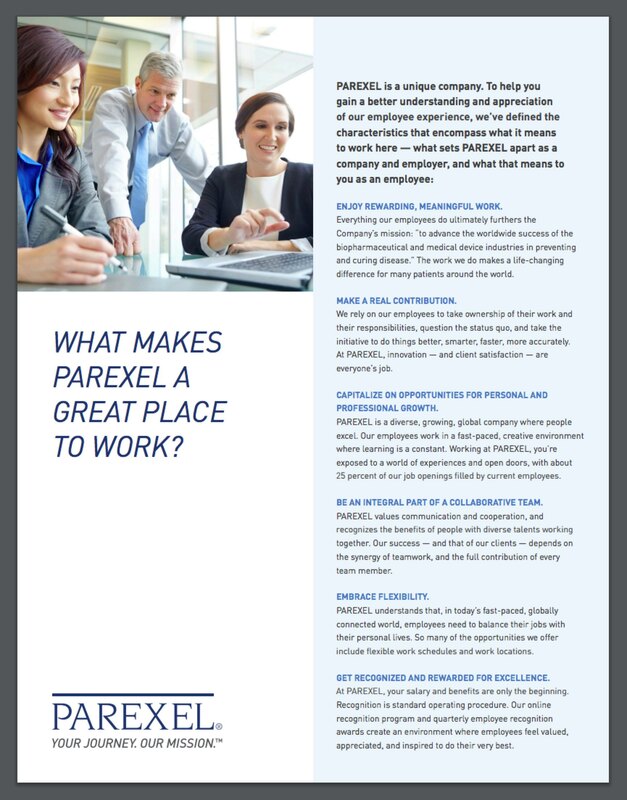 Nice to see Parexel (pharmaceutical ) putting its Employee Value Proposition (EVP) front and center on their career home page (right above the job search). …it then leads to this pop-up of how they define their EVP.